Rectangular Picnic Table 6 foot Aluminum with Welded 1 5/8 Inch Galvanized Steel Frame, Portable, 132 lbs. This 6 foot picnic table features rectangular aluminum top and seat planks with a "CJ" galvanized 1 5/8 inch O.D. schedule 40 pipe frame. 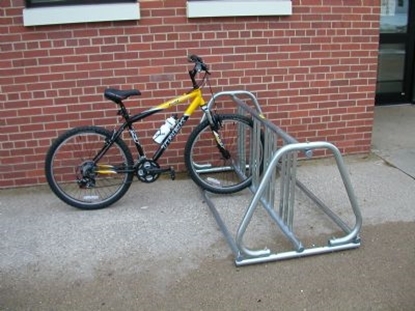 The top and seat cleats are 2 x 2 x 3/16 inch steel angles with a 1 1/2 x 1/2 inch steel channel center cleat. This portable picnic table is excellent for parks and schools. 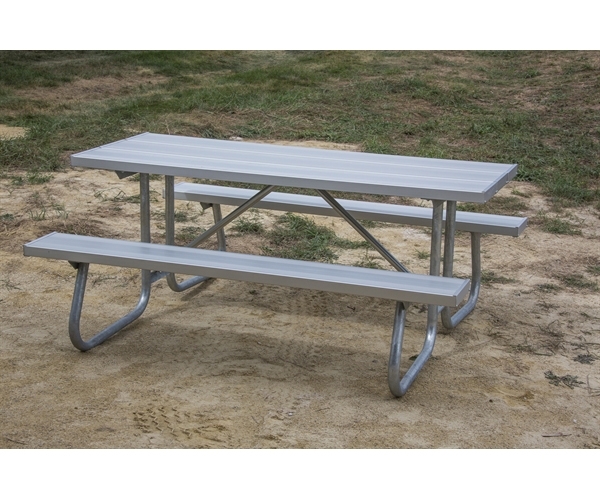 Park Tables offers a variety of aluminum picnic tables for sale that are within school budget. Aluminum Park Bench without Back 6 Foot with 2 3/8 inch Galvanized Tube, Portable, 42 lbs. 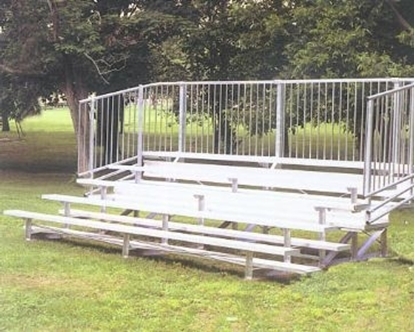 Aluminum Park Bench with Back 8 Foot with 2 3/8 Inch Galvanized Tube, Portable, 90 lbs.